If you LOVE mala, we challenge you to try some of Yassin Kampung’s crazy mouth-numbing mala creations. You know, when you order mala, you choose amongst three level of spiciness? These mala creations are probably on the third level, for real. The Sichuan Mala Dice Chicken was spicy, savoury, and juicy with the right amount of greasiness. Verdict: Must try. 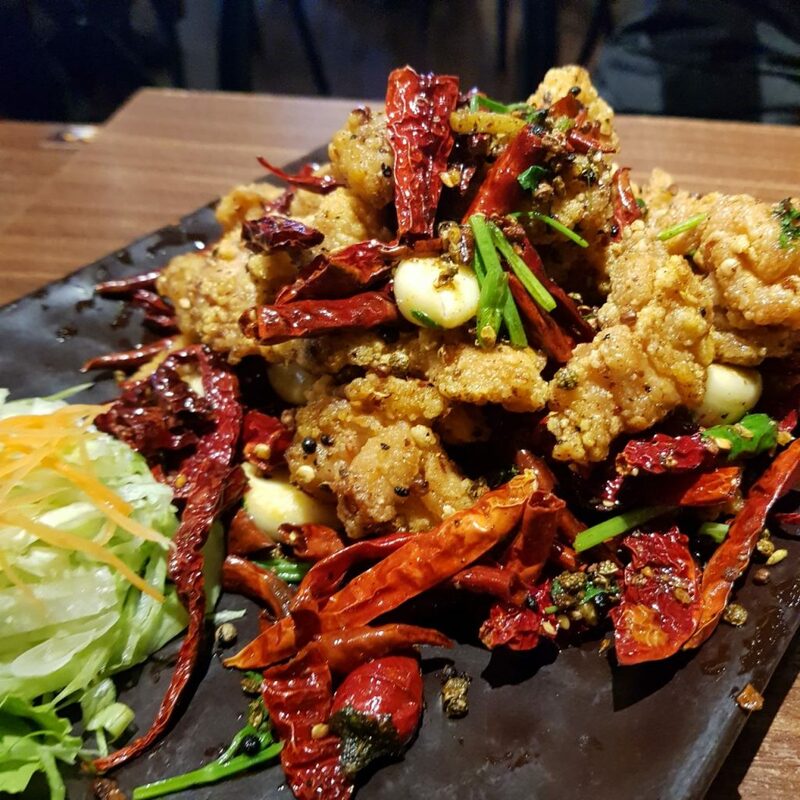 But don’t say we didn’t warn you, it’s spicy! Also, don’t let your Ah Gong or Ah Ma eat this. 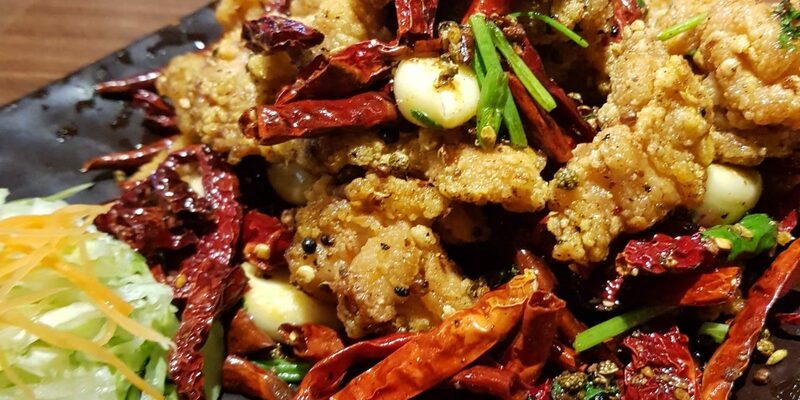 The Sichuan Mala Fried Crab is super fragrant, super yummy and of course, super spicyyyyyy. The Sichuan Mala Fried Crab is not as chunky as the Sichuan Mala Diced Chicken, so the spice distribution on your tongue might be even more. If you cannot tahan, pair this savoury mala dish with one of Yassin Kampung’s popular dishes – Kampung Durian Chicken! 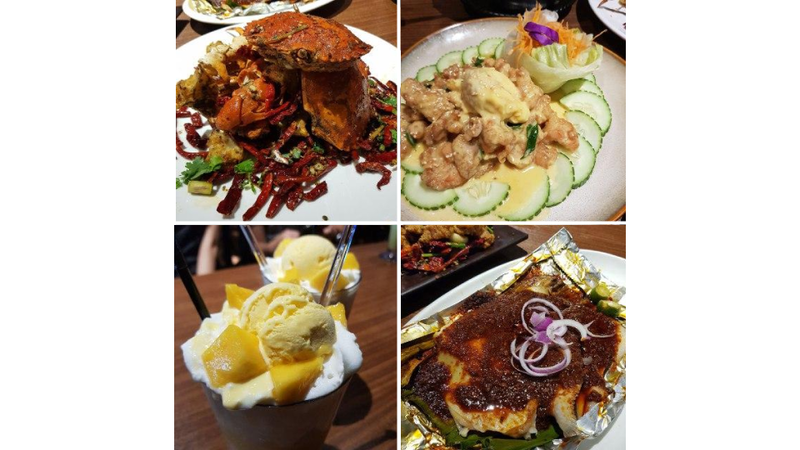 The creaminess of the durian and tasty, juicy chicken will soothe you when you take a break from the Sichuan Mala Fried Crab. Hot Tip: While you’re savouring these spicy star dishes, don’t forget to sip on some of Yassin Kampung’s refreshing Mango Milkshakes. The milk in the shake contains casein, a fat-loving compound that binds with spicy capsaicin oil (found in chillies) will help you wash down that spice. Because this article is dedicated to all you spicy food lovers, the BBQ Sambal Stingray is another must-try. Even though it’s not as spicy as those wild mala creations, the BBQ Sambal Stingray is tender and extremely tasty with generous amounts of savoury sambal loaded on top! This dish would be perfect for friends/family who can’t take as much spice as you can. Grab your boyfriends, girlfriends, friends and family and hang out at Yassin Kampung for some of that spicy goodness. Wishing you a happy and spicy Valentine’s day in advance! Award-winning Chinese hotpot brand Spice World is set to open in Singapore!